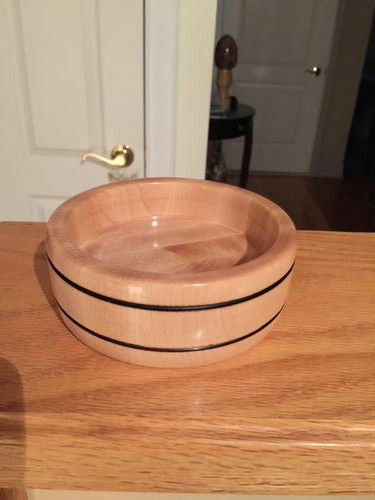 I just finished my first “bowl” today and am dying to show it off. But when I insert my picture it shows up sideways. I’ve tried to rotate the image before inserting it, but that doesn’t work either. I’m wondering if someone might be able to tell me how I can get my pic to show up properly? Start by telling us how you are doing it. My pics never turn. Bobby – Open your photo in MSPaint prior to posting … check the rotation (fix if need be) ... check the size, photos larger than 5 megs or so may not post, you can fix this by adjusting the size (% vertical / % horizontal). Hope this helps. Nice bowl, by the way! Put your home button to the right and take pics sideways bobby. Ahhh… so there’s the problem. Thanks so much!!! 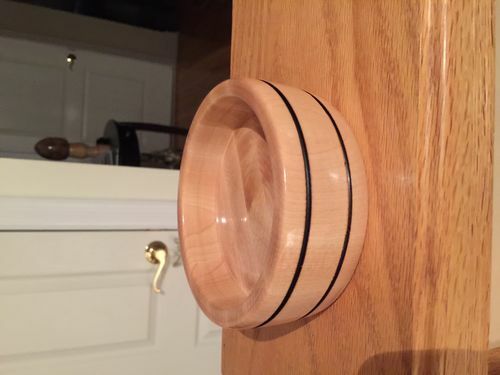 This was my first attempt at turning something that would resemble a bowl. I’ve learned a couple of things along the way. 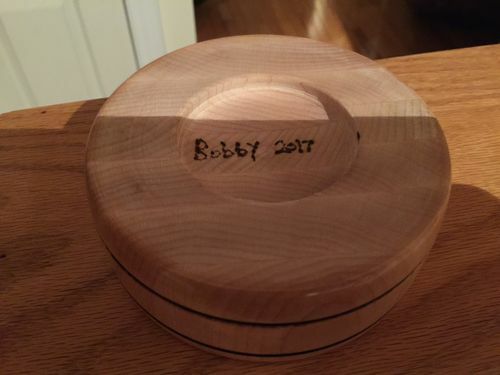 Being a newb, I was shaking with fear at the thought of going “too deep.” Once finished and taken off the lathe I found that I could have gone at least another 1/2” The plan was for this to be a candy dish but the wife snatched it from my hand and declared that it is a dish for her rings and jewelry. She also gave me orders for 2 more, to be given to her sisters for their birthdays. +1 RickM, simple and enough power to adjust photos! I m wondering if someone might be able to tell me how I can get my pic to show up properly? I’ve finished the 2 that were ordered. Now I’ve been told that I have to make one more for my sister. I should be an old pro at making these when I’m finished. 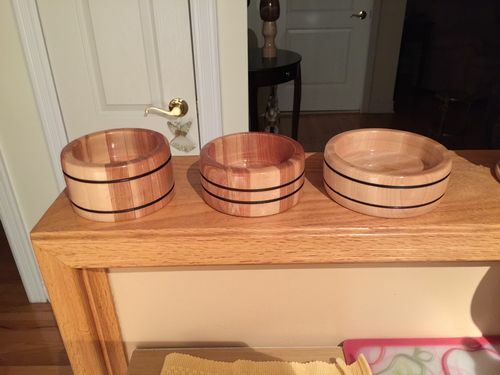 The bowl on the right is maple. The others are Burch. I’ve been told that the next one will be maple.